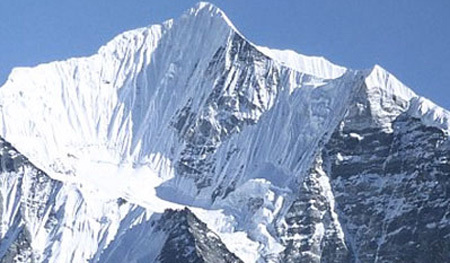 Yala peak climbing combine world beautiful langtang valley trekking & Yala peak summit 5500m . 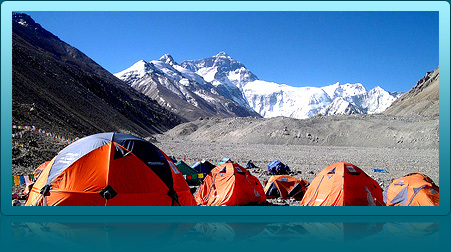 Yala peak is popular trekking peak in Langtang region. Yala peak is easy and suited for anyone with trekking experience but good physical fitness is required. Yala peak climbing trip in the Langtang valley north of Kathmandu. Yala peak climbing offers superb Himalayan views including the Lantang Lirung, Dorje lakpa, Ganesh Himal, Naya kanga peak, gangchempo, Shishapangma. Lantang valley trekking and yala peak climbing is one of the easy trekking route in Nepal and probably yala peak is easiest peak for climbing very closed from kathmandu valley. Yala peak climbing start from Syabrubesi 7-8 driving from Kathmandu and spend 6 days hiking up the beautiful Langtang valley to Kyanjin Gompa at 3800 m. Kyanjin Gompa is situated below Langtang Lirung (7246 m) and we spend two days acclimatizing taking day-hikes in spectacular surroundings. 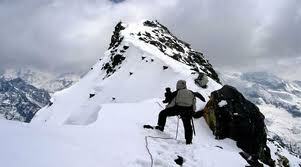 We establish base camp on a meadow at 4800 m and climb Yala Peak the next day. 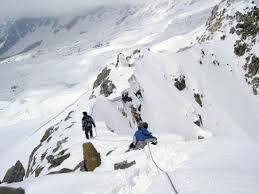 The last 400 m is on ice so we will be using crampons, ice axe and rope. From the summit we can see Shishapangma (8046 m) and the fluted Gangchempo (6388 m). After summit the yala peak , Himalaya journey Treks and Expeditions professional trekking guide will take to you either direct trek to Dhunche or via Gosainkunda pass trekking to Helambu . Trekkers /Travelers can make Langtang ganja la pass trekking after summit the yala peak. Day 14: After breakfast , our tour guide will take to around kathmandu valley sightseeing such as pasupatinath, Boudhanath, Sywambhunath(Monkey Temple ) or Bhaktapur and patan sightseeing and in the evening farewell dinner. overnight at kathmamndu. Day 15: After breakfast, shopping or relaxing wtih own activities than Himalaya Journey Treks and Expedition's airport reprensentative will drop to you Kathmandu International airport.